Only $0.88 (Reg. $1.99) Hershey’s Snack Mix/Crunchers @ CVS! 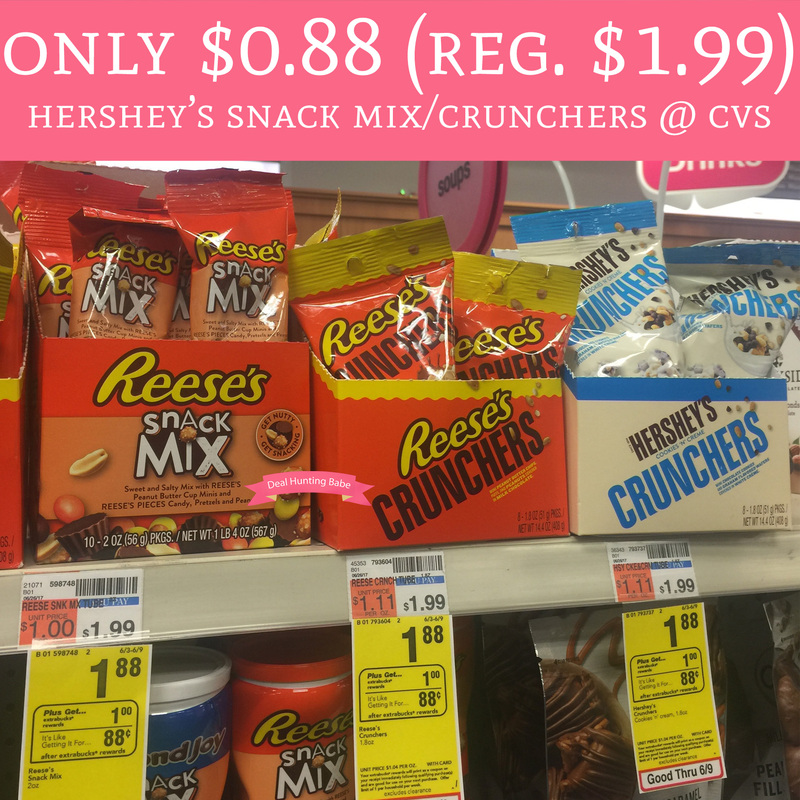 Through 6/9, head over to CVS where you can pick up Hershey’s Snack Mix or Crunchers for just $0.88! They are currently on sale for just $1.88 and receive $1 Extra Care Bucks. That makes a pack just $0.88. Great for movie night!